Motorola has introduced many trendy handsets in a periodic manner, now its new release Moto X-force is waiting to be launched in India. This android moto mobile phone price in India between Rs.20,000 to 30,000 and its shatter proof screen is a highlighted feature. The phone is built with a 5.4-inch display which has quad core HD with a resolution of about 2560X1440 pixels. The Motorola has reported that the screen is built with aluminum core and AMOLED flexible screen for stronger and elegant display. The aluminum core is known to absorb shocks and act as a tough shield for the display. The phone is powered by 2GHz octa-core snapdragon 810 processer with 3GB RAM and have extended memory capacity of 2 TB. The internal storage memory is 32GB or 62GB, the storage space varies according to the price and model. The operating system is android lollipop and the camera has 21 megapixels in the rear and the front have 5megapixels, the rear camera has f/2.0 aperture with additional features like auto focus, double LED flash, and phase detection. It has water repellent coating and comes with stylish black color. The connectivity options include Bluetooth 4.1, Wi-Fi, 4G, NFC and it is powered with 3760 mAH battery. 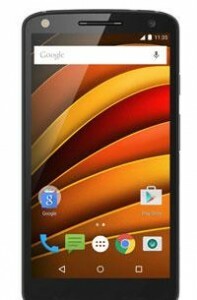 The Motorola is going to launch the Moto G turbo, Moto X plays in the forthcoming months. Those phones are known to have many advanced features like Moto X force, let’s wait for their arrivals to know the hidden surprises.